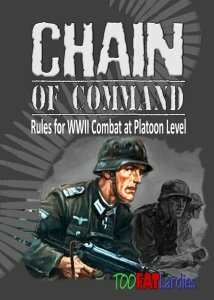 The latest Too Fat Lardies rule set, Chain of Command, was launched today - subtitled Rules for WWII Combat at Platoon Level. They can be purchased from http://toofatlardies.co.uk/ and are available in hard copy or downloadable PDF format. The PDF comes in two versions: a traditional version optimised for printing, and a "tablet" version with embedded links for quicker navigation on any device that will read PDF files. Richard Clarke, the author of these rules and many others in the TFL series, will be visiting Belfast on 31 August to demonstrate these innovative rules at the UWS Lardy Ulster Fry. The photos below show some of the scenery and figures that will feature in these demo games - Americans against Germans, somewhere in France, 1944 . Why not come along and watch, or even join in the Chain of Command demo or one of the other TFL demo games? Full details will be found in the earlier posts on this blog.